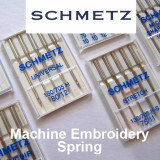 Embroidery machine needles are of course one of the most important components of machine embroidery. 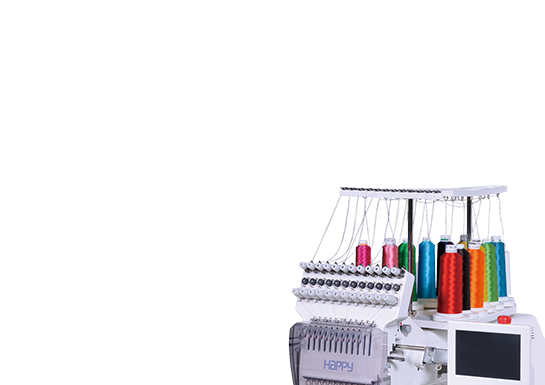 Part of every embroiderer’s training should be to learn what type of embroidery machine needle fits with what type of embroidery design and fabric. And of equal importance, why, how to, and how often you would need to change it. Regardless of many opinions with regards to this topic, there are some basic, yet important information every embroiderer should know about embroidery machine needles. 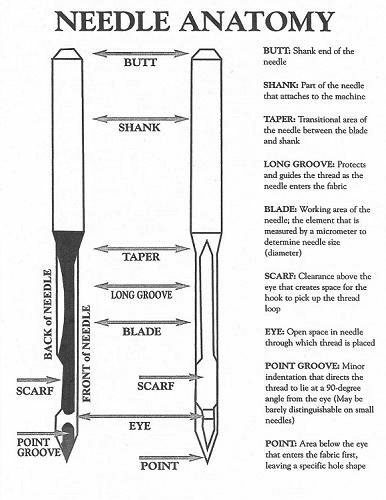 With a few exceptions (as a general rule), sharp point needles are primarily used on woven fabrics. Although the sharp needle has a round point, it’s sharper and more pointed than the ballpoint needle. It’s made to penetrate the fabric. However, if you’re not careful, it will at times even cut the fabric. 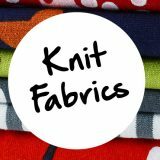 If you’re using a sharp needle on a knit, and it cuts the fibers, it may cause a run in the knit! Or it will cut the center part of small letters out, such as the center of o’s, a’s b,’s and etc. Sometimes this doesn’t occur until after it has been washed a few times. 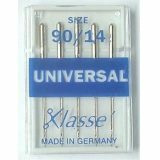 Ballpoint needles are used on knits and fine fabrics, such as sheers. 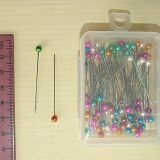 These have a small round ball and is designed to penetrate between the fibers of the knit eliminating the chance of the cuts (unless it is a blunt needle). If it is blunt, it will most definitely cut the fabric and cause runs and holes. the better your design will look when it’s finished. The light ballpoints (SES) would be used for lightweight fine knits and sheer woven fabrics, such as silk. If you are working on a 100% Pima cotton shirt, this would be your best choice. The medium ballpoints (SUK) are the most popular and used for your fleeces, t-shirts, sweatshirt fabrics and heavier knit placket shirts. The heavy ballpoint (SKF) is used on heavy bulky sweaters and most types of elastics goods with the exception of spandex. On spandex, we recommend to rather use the light or medium ballpoint, as this fabric is light weight. 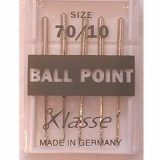 Although the 70/10 sharps have been used with success on some knits, it’s safer to rather change your needle to the 70/10 ballpoints when you are working on knits. the smaller the needle you should be using. 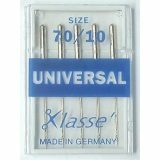 If you have quite a bit of fine detail, the 70/10 needle will be a much better choice as it will increase clarity. When embroidering lettering less than or 4 mm in size, we recommend using a 65/9 or a 60/8 needle. Have a variety of needles on hand to test and see what works best for your needs and requirements. And if you have a combination of needles in your embroidery machine, make sure you know where they are (by using a needle tracking sheet). These pierce real leather & suede, creating small stitch holes and strong seams. Never use on woven or knit fabrics. A wedge point needle actually makes a slit in the leather for the thread to travel in. 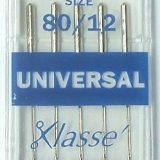 These wedge point needles are also ideal for heavy vinyl. 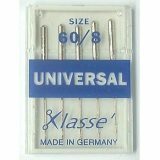 There are two measuring systems displayed to determine the size of embroidery machine needles – European (metric) and United States (imperial). On each needle package, you will see both systems displayed. The size of the blade is designated by displaying the metric system first, followed by the imperials system, which uses a nominal number. For example: 75 (metric) / 11 (nominal number). The size of the needle is based on the width of the blade. The European designation is the width of the blade, multiplied by 100. 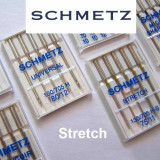 For instance, a needle that is 0.75 mm in width, will be displayed as a 75/11 needle. Both numbers are always used to designate the size and can actually be seen with a magnifying glass on the shank. Sometimes the metric number is on one side and the nominal number is on the other side. And if it’s a sharp or normal point, it usually shows the number only. Depending on the brand, if it’s a medium ballpoint, it may only have the B or BP following the number. Not all brands carry all of the different size points. 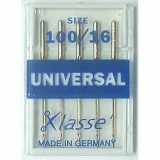 Most embroidery machines arrive with 75/11 sharp point needles. 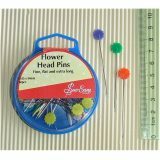 However, these needles are not recommended for general machine embroidery. 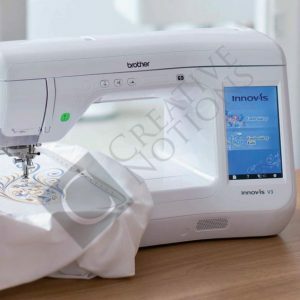 We recommend that you additionally purchase with your embroidery machine the DBxK5 70/10 sharps and DBxK5 70/10 ballpoints for simple machine embroidery designs on general fabrics. Specifically designed for general machine embroidery, the DBxK5 system has a larger, elongated eye for the thread to slip through easily. 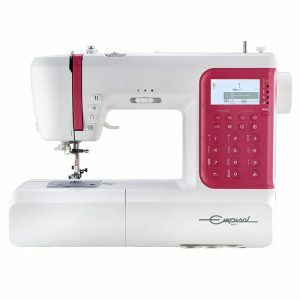 Another system used for machine embroidery is the 16×257. This is basically the same needle, except for the fact that the eye is smaller. 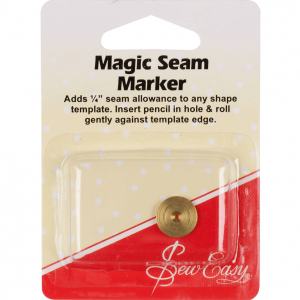 Also, the smaller the needle, the smaller hole it will make in the garment and the sharper your finished image will be on your finished product. 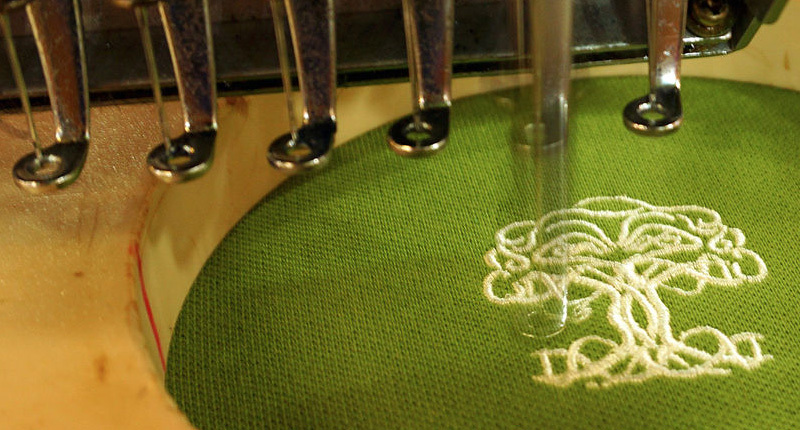 To embroider on leather, we recommend a 70/10 sharp, 75/11 sharp or a wedge needle made especially for leather. This depends on the type of leather you’re going to embroider. The best way to find out for sure which type of needle to use on your leather, is to experiment. 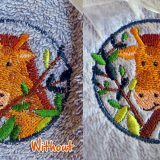 We suggest that you collect a variety leather pieces of various thinkness, and test the different needles mentioned above on one which resembles to your job’s type of leather, before you start embroidering. For soft leather, the best choice is the 70/10 or 75/11 sharp needle. And for a heavier type you’ll need to use the wedge point needle. You will still want to use the smallest needle that will do the job. 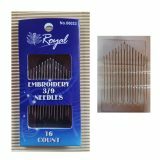 Some suggest to change embroidery machine needles every 2 million stitches, others recommend 1 million stitches or 8 consecutive hours of sewing. 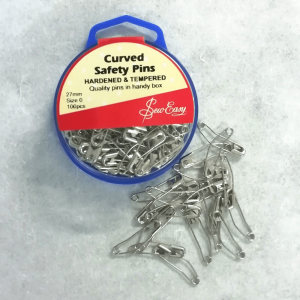 We are of opinion that needle changing depends on the speed of the machine, the type of fabric and backing that you are using, and how many times you’ve actually run that particular needle bar. Sometimes this is difficult to determine. In our experience, it’s a good idea to check the needles at least once every couple of days, especially if you’re running a large job on the same needle for several days. 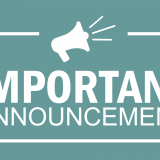 Also, make sure that all of your needles are changed during your monthly maintenance. If you don’t change your needles any other time, make sure that you schedule the needle change along with your overall monthly maintenance. 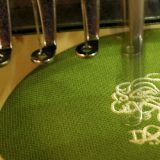 Depending on how often you use your embroidery machine, you’re most probably going change needles often. And remembering which needle you inserted could wind up a challenge – especially the older you get! 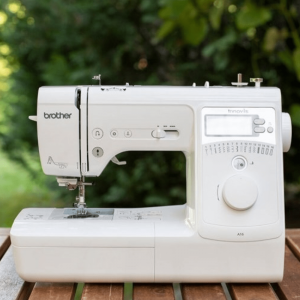 We recommend that you keep track of your needle changes on a spreadsheet and stick it to the back of your embroidery machine or some place with easy view. Every time you change a needle, write the size, type of the needle and the date you changed it. 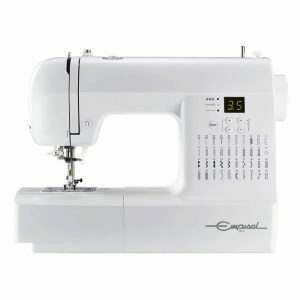 This helps in keeping track which needle is inserted and prevents any possible embroidery or technical problems due to incorrect needles. For instance, you don’t want to embroider a fine golf shirt with a 80/12 sharp needle. It will leave the golf shirt with quite amount of holes…! 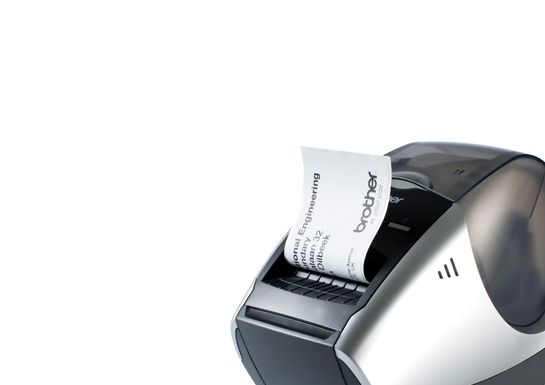 A good system, like a needle tracking sheet, will increase productivity and limit confusion.